Lively country western venue offering cowboy cuisine and a ride on a mechanical bull. 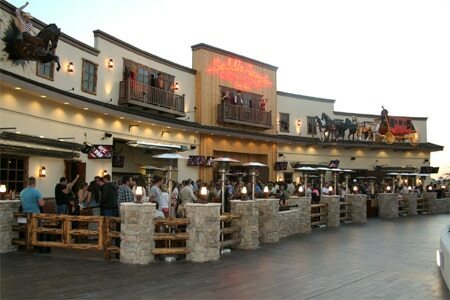 : Located on the top floor of The Triangle in Costa Mesa, this sister venue of the famed Sunset Strip restaurant has all the earmarks of its L.A. counterpart, including the opportunity to hop onto a mechanical bull and hang on for dear life. The restaurant also serves up big portions of cowboy cuisine, including barbecued ribs, steaks, chili and burgers. Cocktails like Red Bull and vodkas keep the party going, and desserts such as the three-foot-tall cotton candy tower provide additional sweet release.